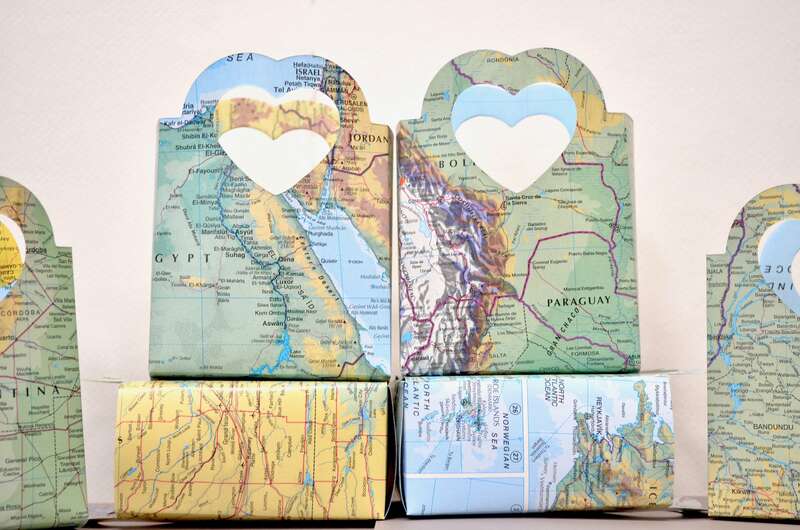 Vintage Map Heart Handled Gift Bags - Perfect for gift cards, wedding favors, wedding confetti, small gifts, and candy. 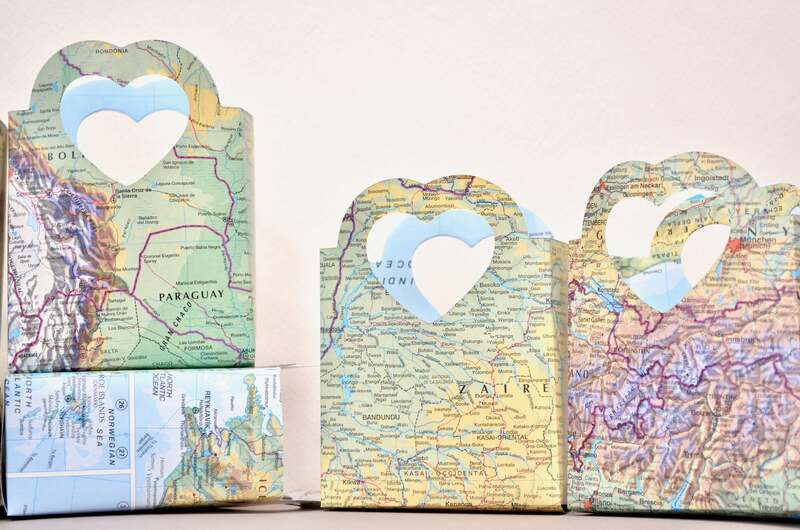 Package your gifts or party favors in true global style! 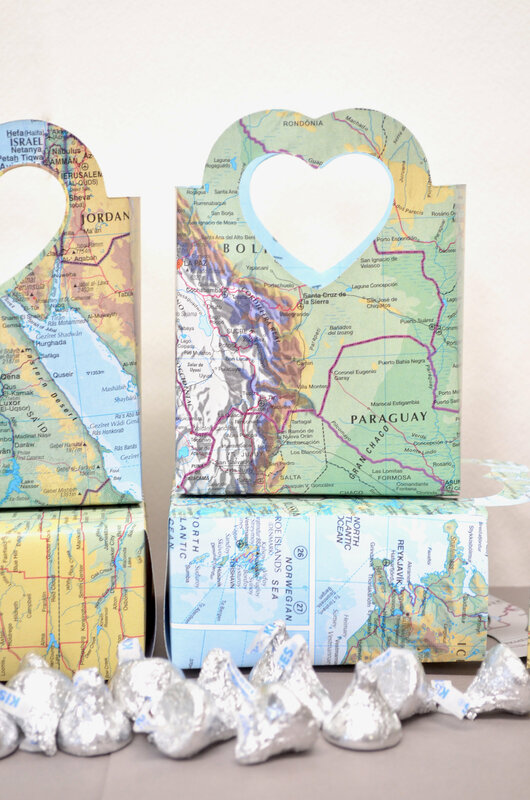 Each gift bag is hand-punched from vintage maps and sport a wonderful, heart shaped handle. They are fast and easy to assemble. ~ Each bag is 5" tall from the top of the handle to the base, 2" deep and 3 3/4" wide. ~ Tissue paper not included. ~ Constructed in a smoke free, pet free, peanut free studio. It's cute it's not cardboard. 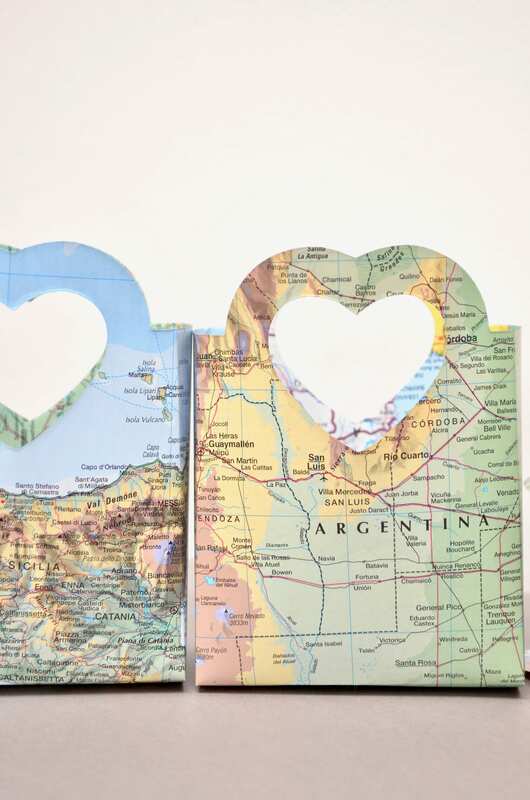 It's like a map paper but not as thin. It's small just the size I needed for give aways. I would buy this product again. Not at all what I expected. The bag is very weak in strength and I had to purchase other gift bags that were not at all in my theme. This bag is only big enough to literally hold a magnet that is very light in weight, otherwise the bag will rip!! In order to even use these bags you would have to put tape on the inside where you fold it to hold. These bags are not recommended and should be $5 if that. Not a happy customer!!! I ordered several items. Just what I wanted, came in the cutest paper, wrapped with ribbon. Just very thoughtful! 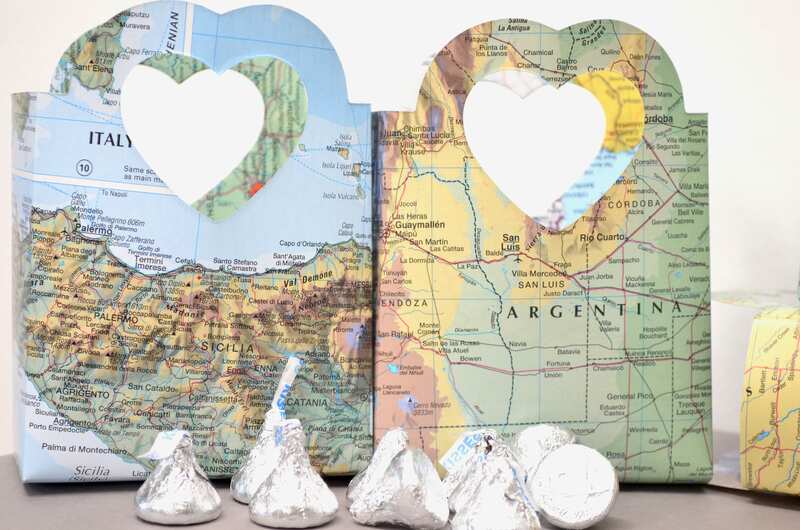 So cute and perfect for our going away party! We used these on the tables as centerpieces with tissue paper and balloons tied to them. Super easy!